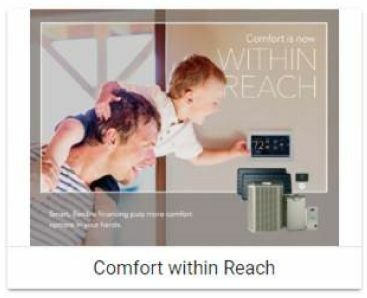 Cydcom Heating & Air Conditioning offers sales and service of zoning systems and thermostats in Edmonton that can monitor and control individual room temperatures. Now you can cool down your top floor without freezing your basement, etc. we will give you all your options with your cost before we start the work so you can decide what is best for you. Contact Cydcom Services Ltd - Heating & Air Conditioning today to request a quote or schedule an appointment for your home heating and cooling needs. We are available year-round for 24-hour emergency service. Contact us today. Your schedule may change. The weather may change. Even the air quality in your neighborhood may change. But the iComfort® S30 ultra smart thermostat smartly adapts to deliver the ultimate in energy savings. The iComfort S30 ultra smart thermostat makes home comfort perfectly simple. Set the thermostat to 72˚F, and it will feel like 72—in any weather, year-round, with just a touch. The iComfort S30 ultra smart thermostat preserves comfort and peace of mind by actively monitoring system operations. Should any problem ever arise, you and your Lennox® Dealer will be notified. Remote control of your home environment is easy with the iComfort S30 ultra smart thermostat. Monitor temperatures and schedules from anywhere using the iComfort app and your smart device. The iComfort S30 is compatible with Alexa, so you can use your Amazon devices to control your HVAC system with your voice. You can also ask Siri to set the temperature when you connect the iComfort S30 to Apple HomeKit. The iComfort S30 ultra smart thermostat preserves comfort and peace of mind by actively monitoring system operations. Contact us for options to improve the overall comfort of your home.